We present a novel algorithm for accurately detecting all contacts, including self-collisions, between deformable models. We precompute a chromatic decomposition of a mesh into non-adjacent primitives using graph coloring algorithms. The chromatic decomposition enables us to check for collisions between non-adjacent primitives using a linear-time culling algorithm. As a result, we achieve higher culling efficiency and significantly reduce the number of false positives. We use our algorithm to check for collisions among complex deformable models consisting of tens of thousands of triangles for cloth modeling and medical simulation. Our algorithm accurately computes all contacts at interactive rates. We observed up to an order of magnitude speedup over prior methods. 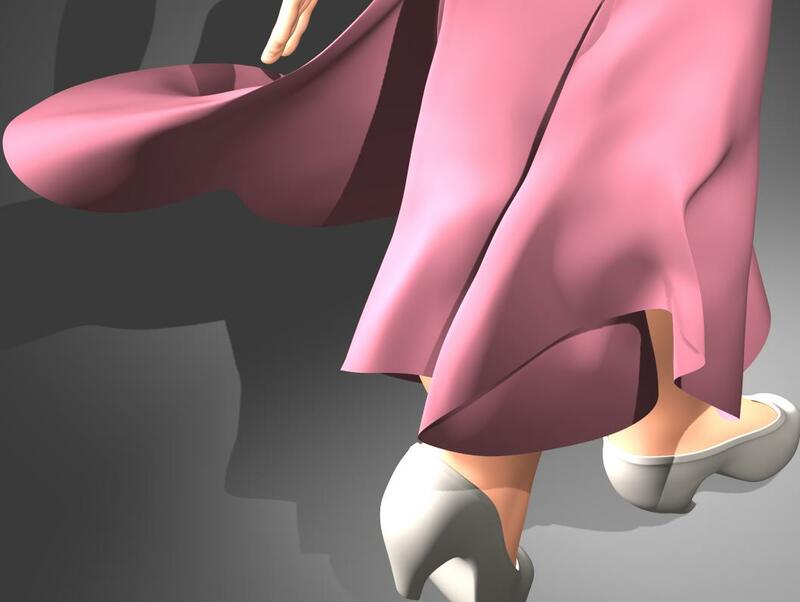 Benchmark I: This simulation generates complex folds and wrinkles on the skirt. 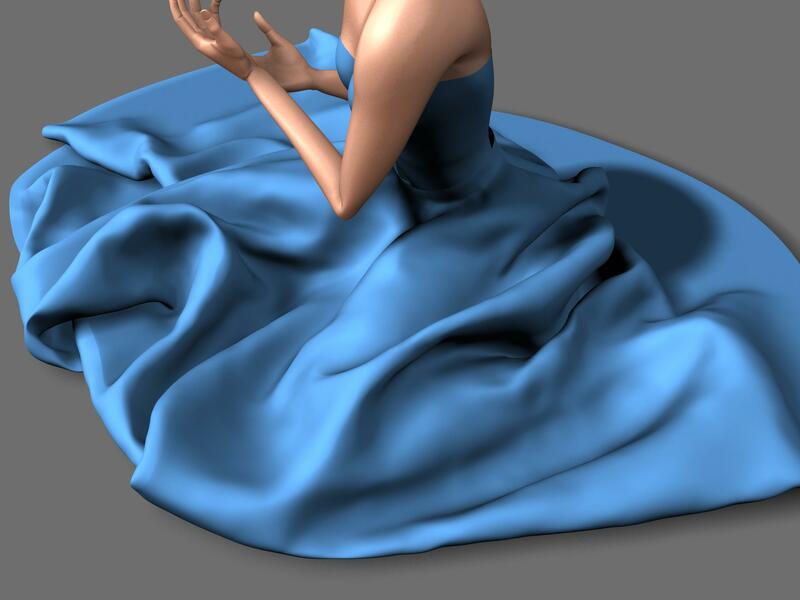 The cloth is modeled as a mesh with 13,000 triangles. Our collision detection algorithm accurately checks for all self-collisions within 400-500 ms during each step of the simulation. We significantly reduce the number of false positives and perform relatively few exact intersection tests between the primitives. Benchmark II: We use our collision detection to compute all contacts, including self-collisions, during cloth simulation. The cloth mesh consists of more than 23,000 triangles and our chromatic decomposition partitions the mesh into 19 independent sets. Our algorithm accurately computes all the collisions within 400-550 ms during each step of the simulation. Interactive Collision Detection between Deformable Models Using Chromatic Decomposition, ACM SIGGRAPH 2005.